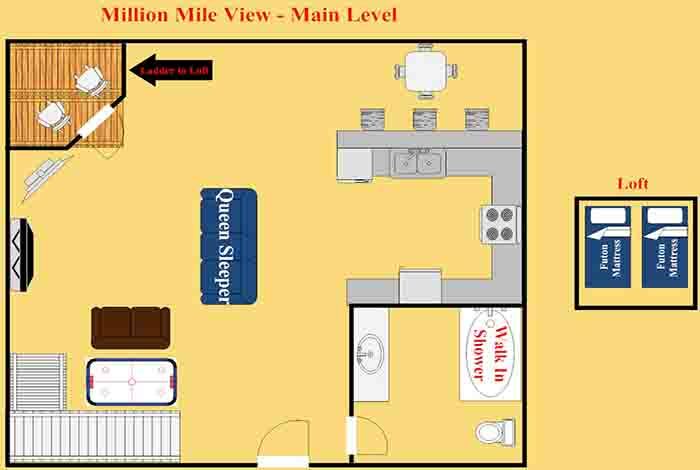 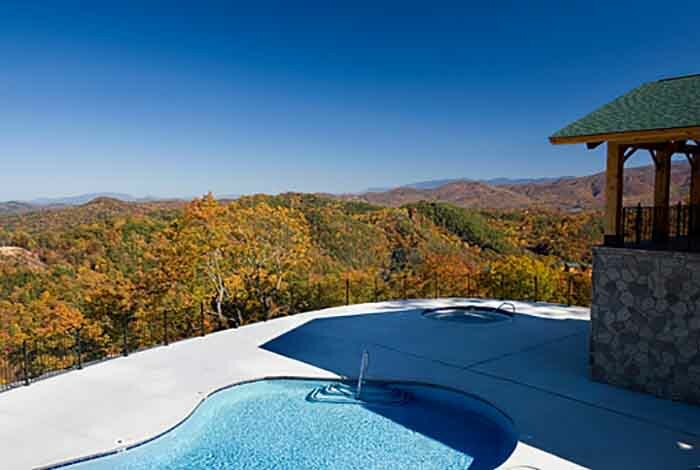 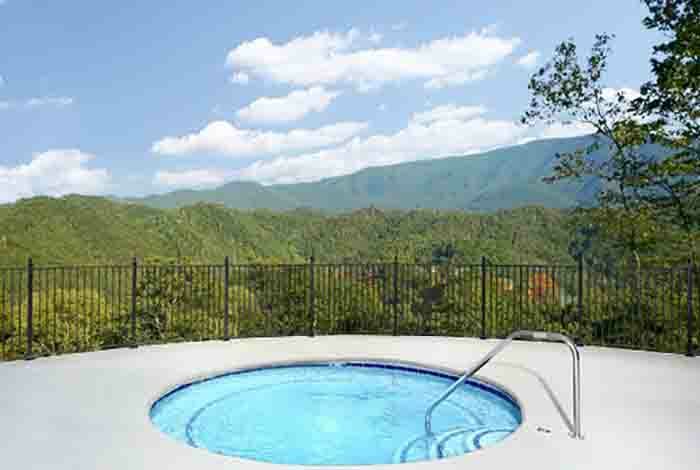 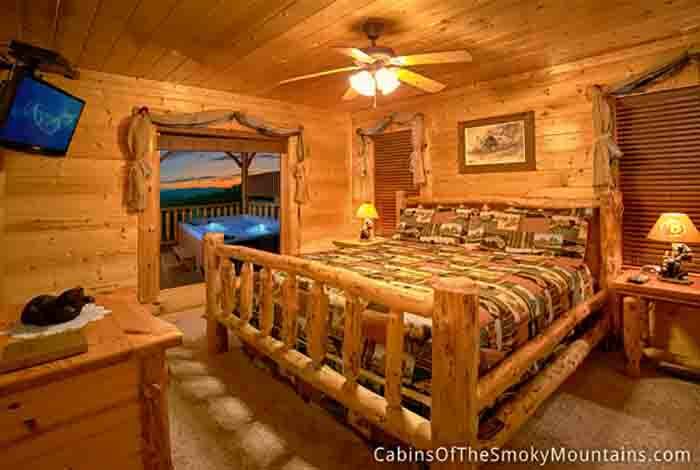 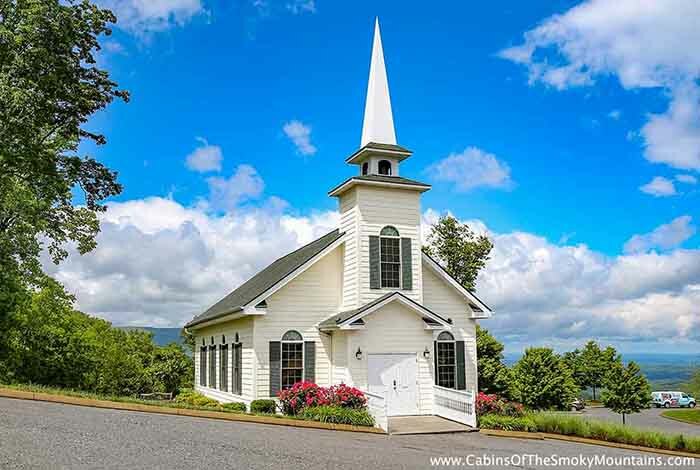 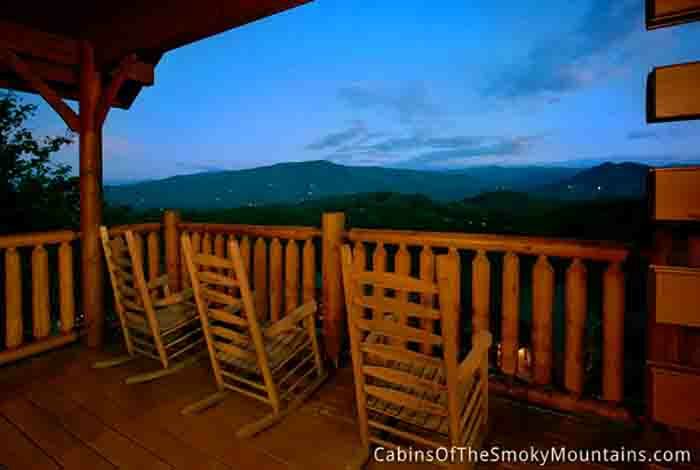 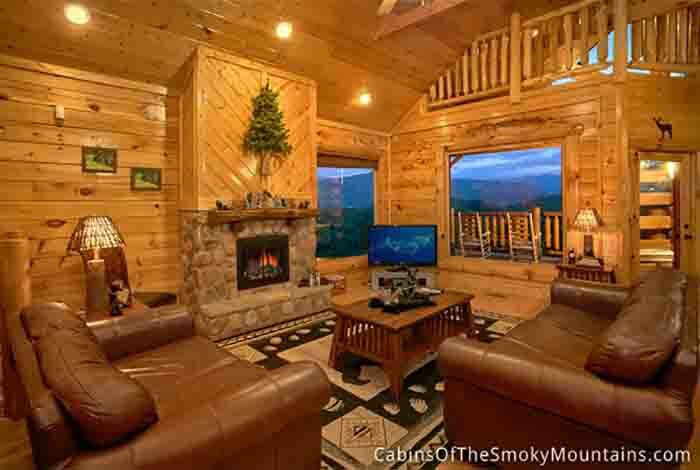 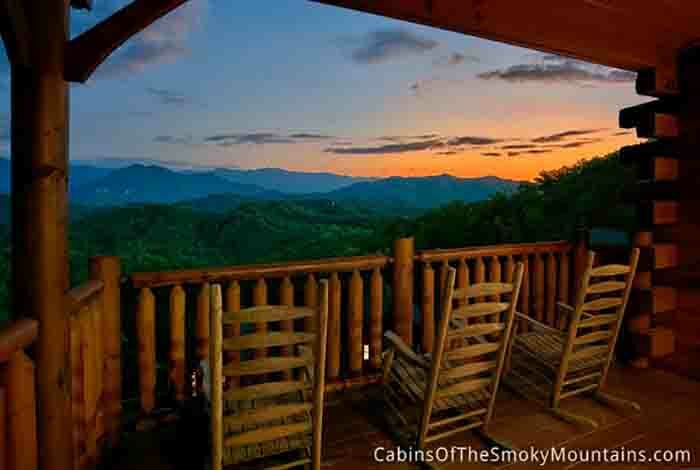 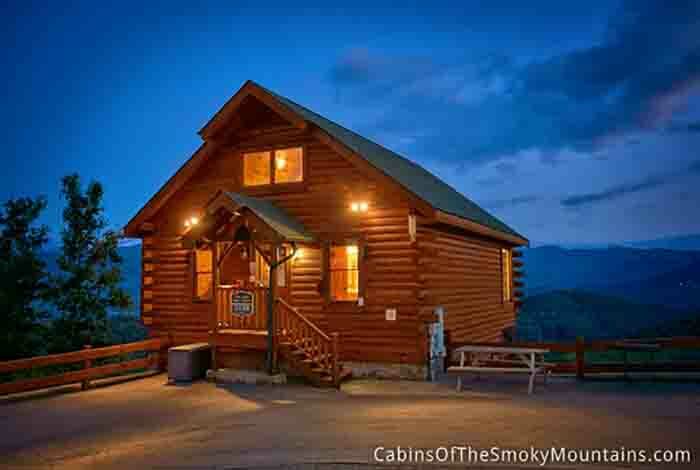 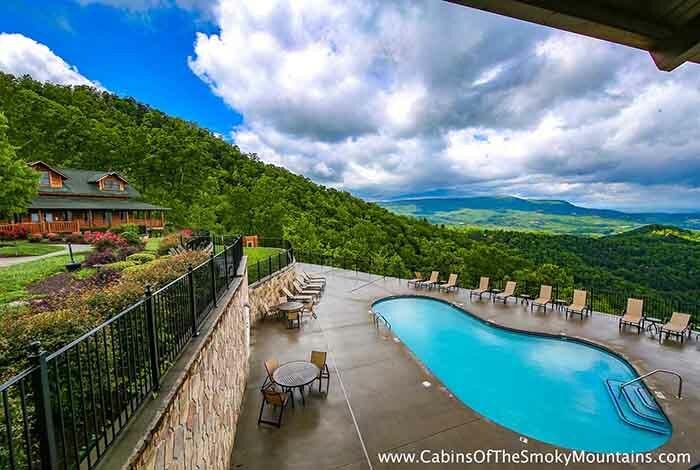 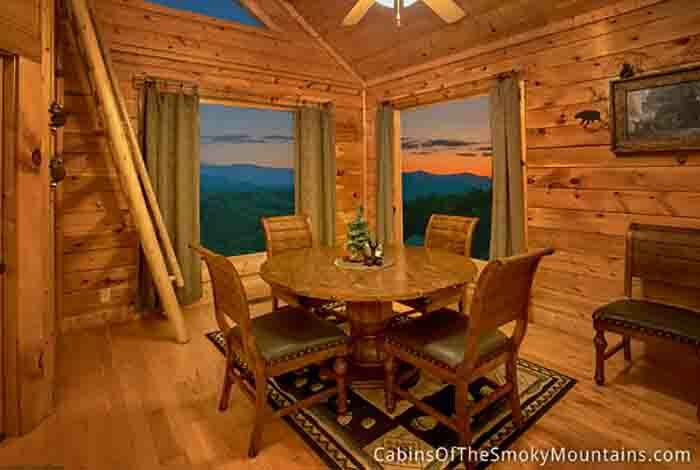 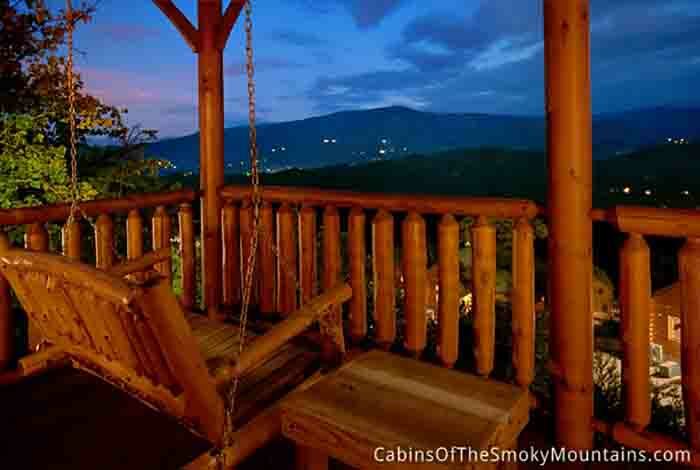 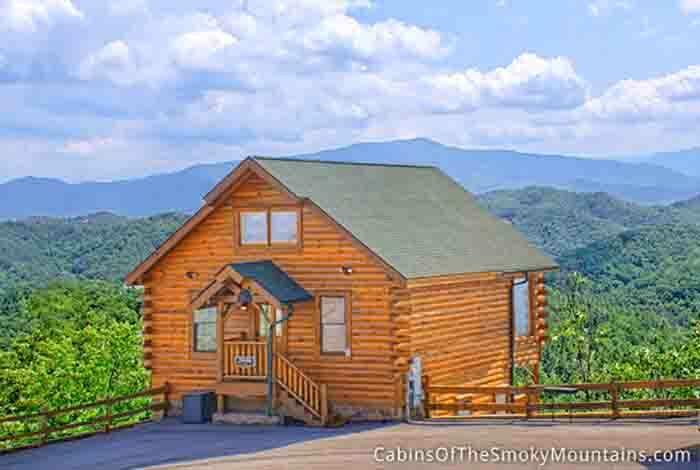 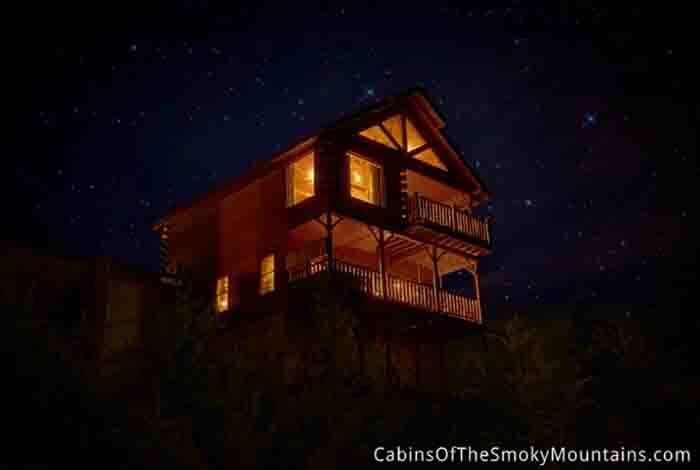 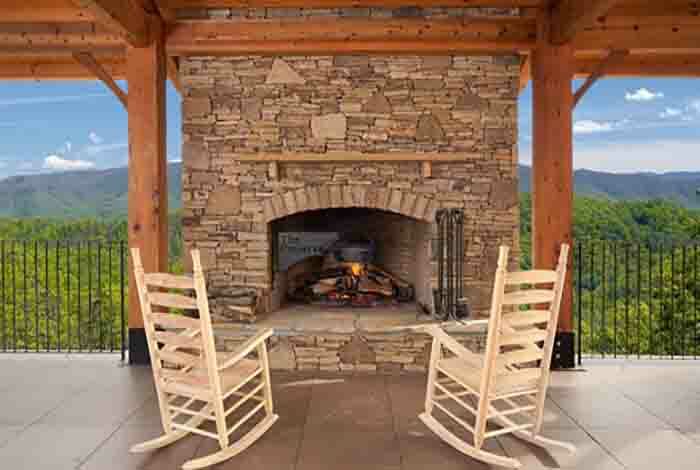 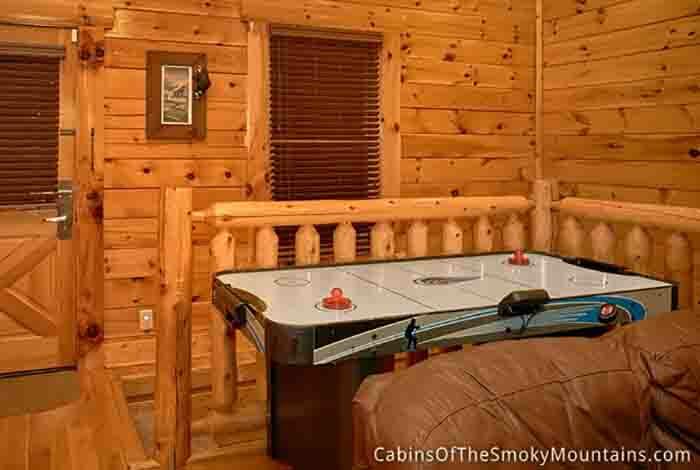 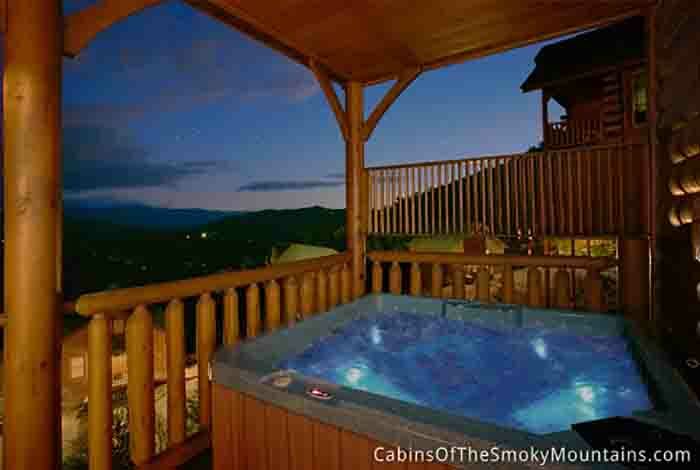 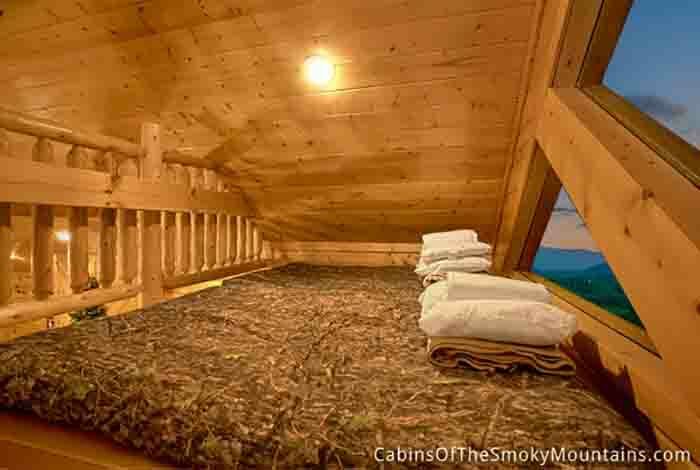 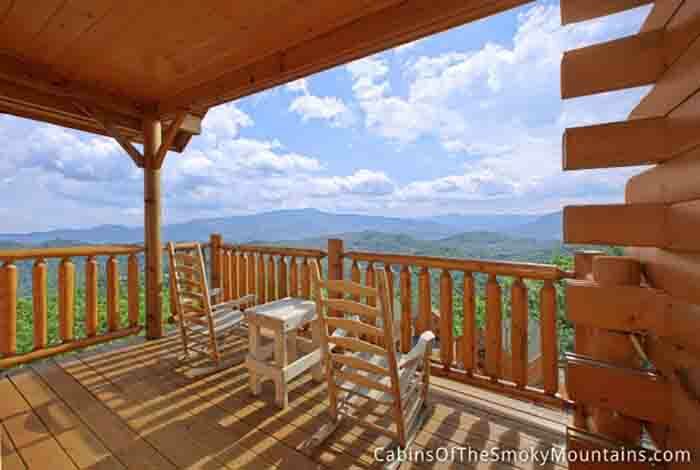 Come to Pigeon Forge and get lost in the wonders of the Great Smoky Mountains in our beautiful 1 bedroom cabin Million Mile View. 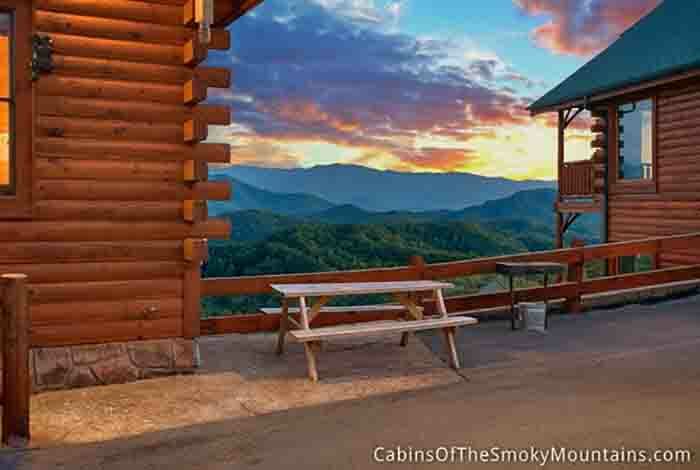 What a fitting name for a cabin with such amazing views! 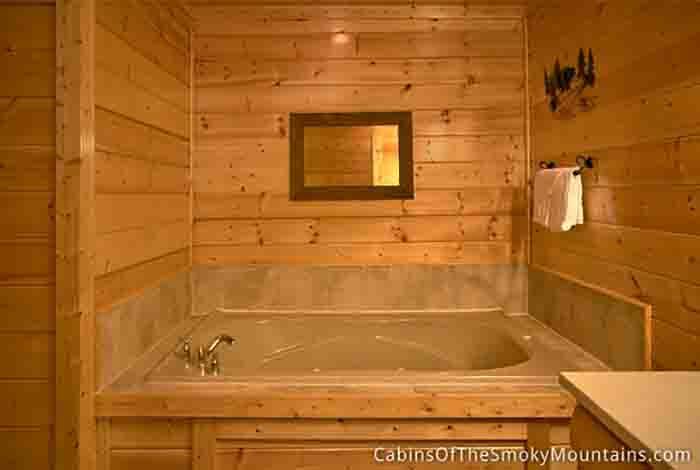 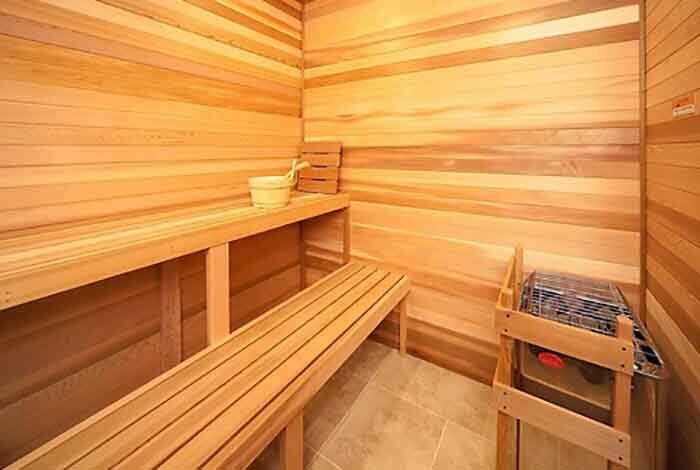 This romantic cabin will renew your love with a relaxing soak in your private hot tub or get a bit closer in the inside Jacuzzi. 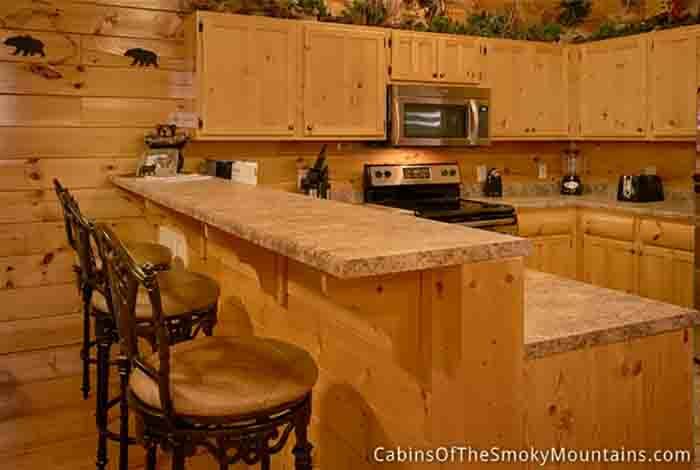 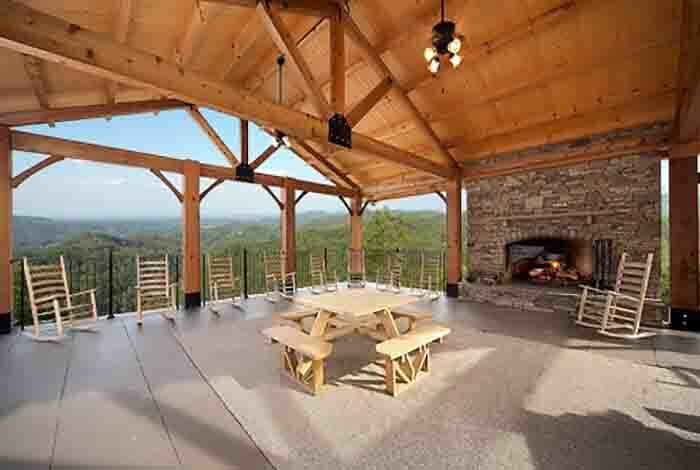 Cook a romantic dinner in the full kitchen or on the Charcoal BBQ grill. 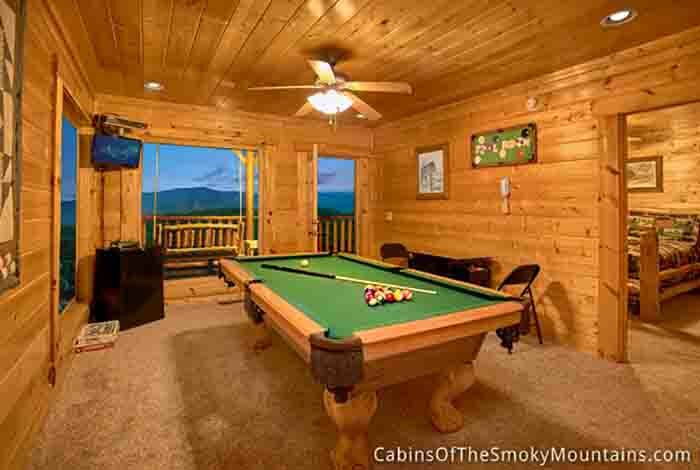 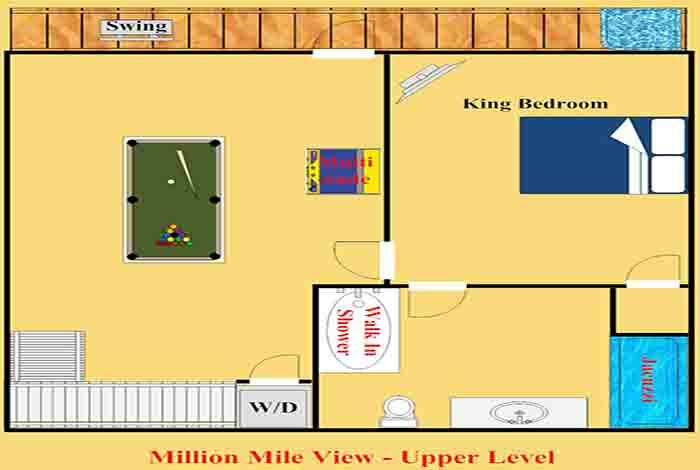 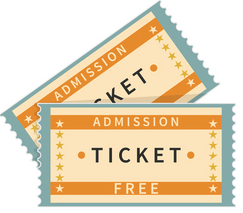 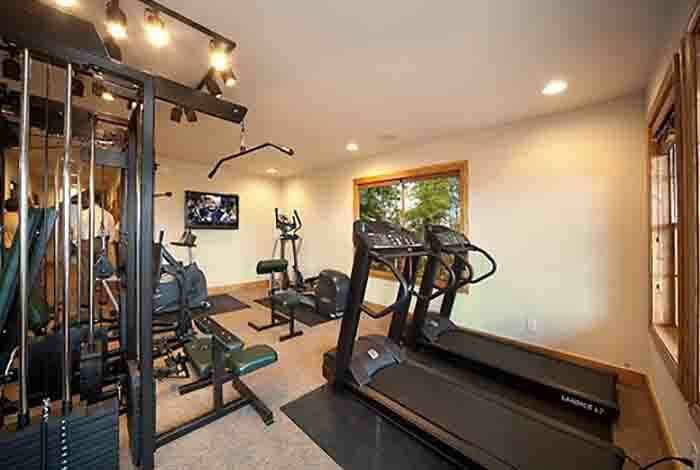 Hang out and watch movies on the Premium Cable or have a fun pool tourney or arcade style game war. 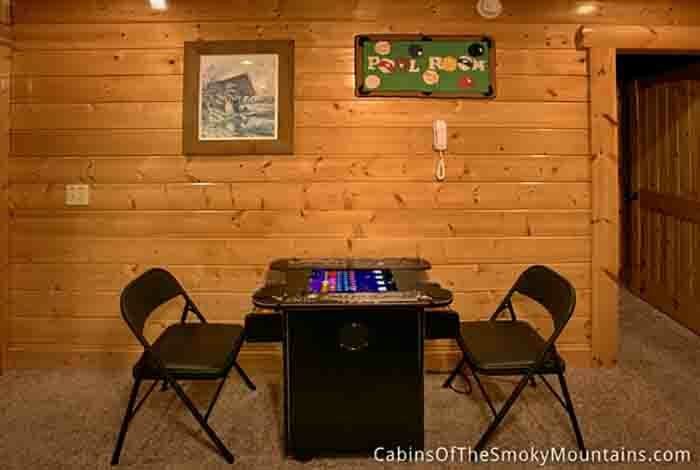 Keep up with work using the free WiFi in the cabin as well. 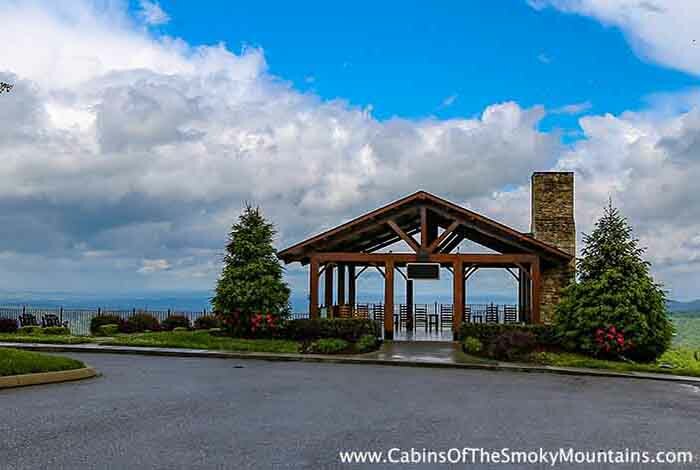 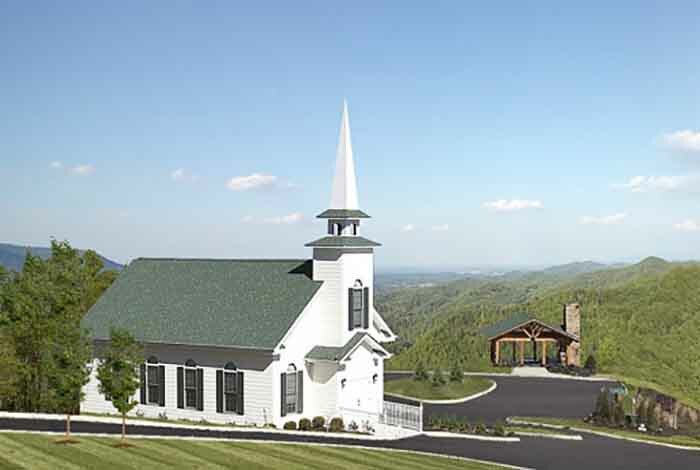 And it is only a short, scenic drive into Pigeon Forge for a show, dinner, and shopping. 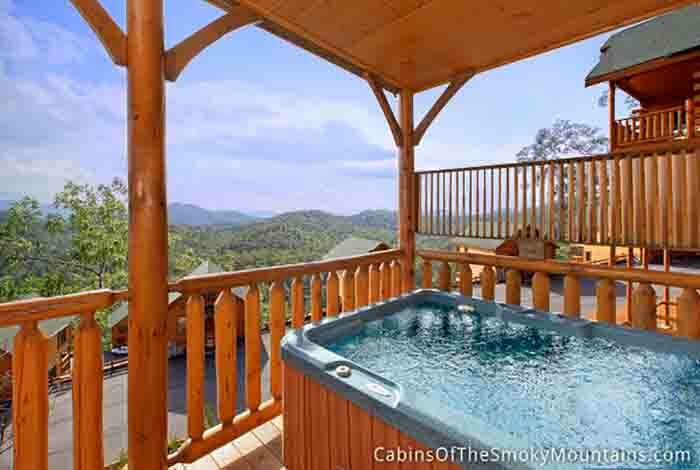 Million Mile View will have you feeling like a million bucks!